← Do you have Forer’s Disease? 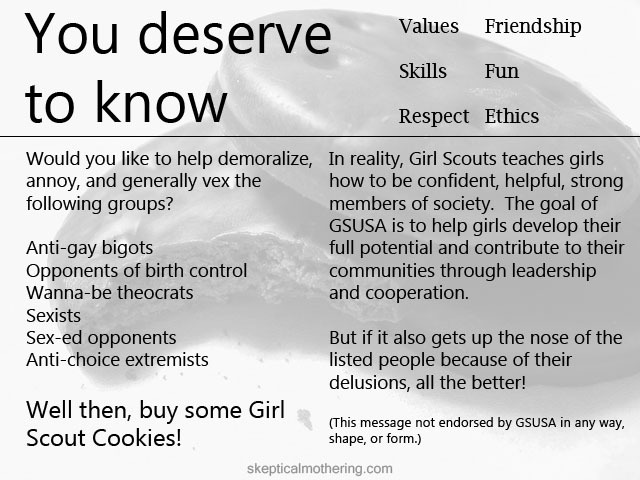 Posted on January 16, 2013, in Feminism, LGBT, Religion and tagged feminism, girl scout cookies, honest girl scouts, planned parenthood. Bookmark the permalink. Leave a comment.